I started off with 2 coats plus top coat of Baroness X Minthe on my middle and ring fingers. This is a pearlescent white base with green to pink shimmer. So so pretty! I saw it on Courtney over at Polished Lifting and just had to have it. Luckily, a fellow member in The X Army (Facebook group for Baroness X) had it and was willing to sell! On my pointer finger, I’ve used 3 thin coats plus top coat of CrowsToes Nail Color Phantasm. 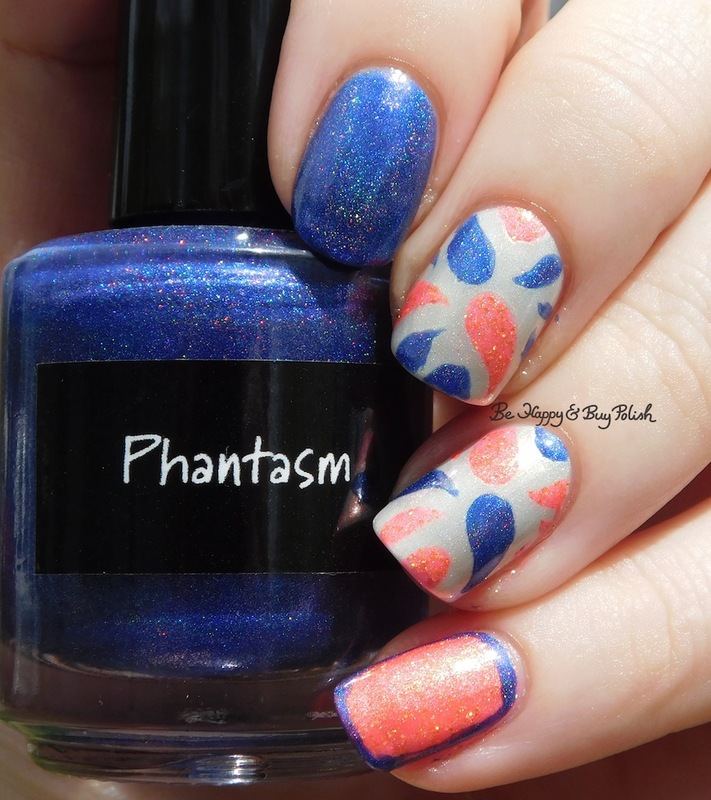 Phantasm is a dark blurple linear holographic nail polish. It also seems to have a pink shimmer in there, but it’s hard to tell. On my pinky, I used 3 thin coats plus top coat of Femme Fatale Cosmetics Dollface. 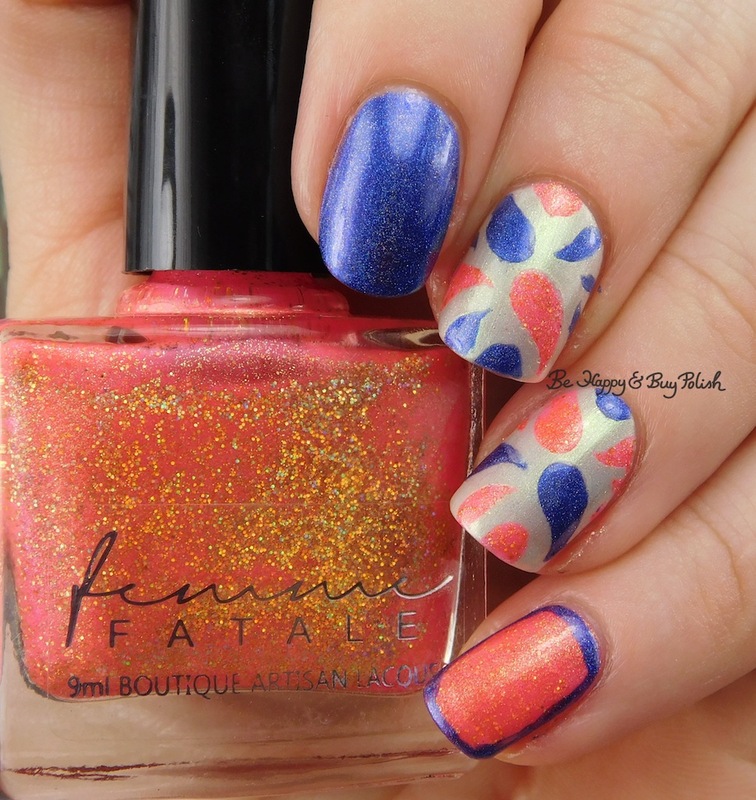 Dollface is a hot coral holographic nail polish with gold holographic glitters. 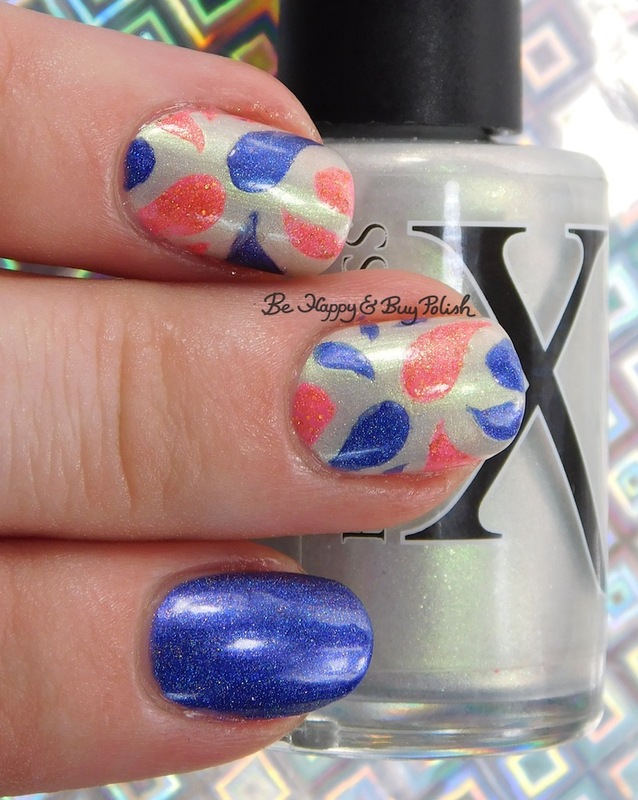 Then on my middle and ring finger, I used raindrop stencils from Polished Vino and painted Phantasm and Dollface over it. Those random raindrops are nice! Minthe looks really lovely on you!